Just like any kind of emergency, dental emergencies never seem to happen when someone is prepared. No one really expects a knocked out tooth or severe toothache to ruin their day, but it happens all the time here in Buzzards Bay. We understand that urgent situations require urgent care, so if you find yourself in the middle of a dental emergency, pick up the phone and give Canal Side Family Dental a call. We’ll work to see you as quickly as possible and get you out of pain right away! 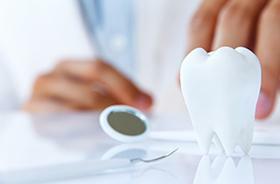 Why Choose Canal Side for Emergency Dentistry? In some cases, prolonged oral pain may be caused by a pesky particle of stuck food between the teeth and gum tissue. Try flossing and rinsing your mouth thoroughly; if the pain persists, a more advanced oral infection is likely present and you should absolutely contact our dental office right away. You can take painkillers in the interim to control the discomfort, such as Aspirin, although we strongly suggest NOT touching the medication to the gum or tooth surfaces directly, as they may lead to further pain. If large pieces of the tooth have become dislodged, gather them up and plan to carry them with you to our dental office. Any bleeding can be stymied with some gauze, and we suggest holding a cold compress to the appropriate cheek to keep any noticeable facial swelling to a minimum. First question: do you still have the tooth? If you do and are interested in possibly having it replanted, please keep in mind that the available window of time for doing so is short – typically an hour. If at all possible, gently place it back within its original socket and hold it there with your tongue or finger. Alternatively, you can carry the tooth in your cheek pocket or place it in a container of milk; the idea is to keep the dental structure moist. Our doctors will make time to see you as soon as possible! Unlike the above situations, the loss of a filling or crown isn’t technically a true emergency. Patients should still be capable of going about their daily routine, although they may experience some sensitivity or general discomfort because the treated tooth is now exposed to the elements. Do you still have the dental crown? You can try gently placing it back into its original position with the help of some denture adhesive or dental cement, both of which can typically be found at a nearby pharmacy. Nonetheless, make sure to contact our Buzzards Bay dental office to schedule an appointment for the reattachment or replacement of your restoration. 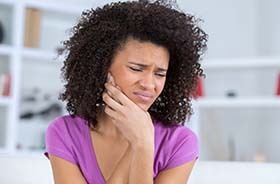 No two dental emergencies are like, and their costs can vary wildly as well. Some symptoms may be treatable with a simple prescription, while others could require more involved reconstructive care, such as the placement of a dental implant or a custom-made dental crown. At Canal Side Family Dental, we will focus on providing relief first from serious pain and then create a comprehensive breakdown of further costs and care options so that patients have everything they need to make an informed decision. We will also be happy to file insurance claims and arrange affordable payment plans through CareCredit when needed.